I would like to request your best ePrice quote for this 2005 BMW 645Ci NAVI, SUNROOF, VOICE COMMAND, LEATHER, BLUETOOTH. 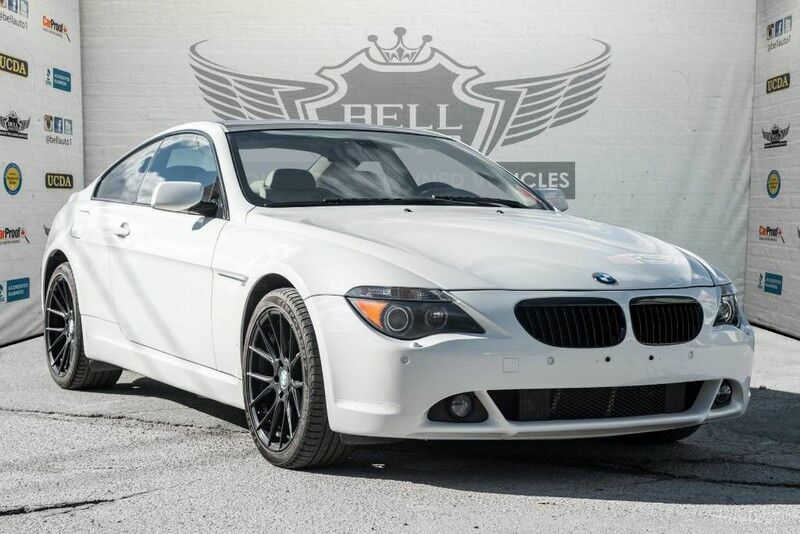 This 2005 BMW 645i, Comes Registered in Ontario, Service Records & in Great Condition. Financing Available, we provide affordable payments and low interest rates. High Value Options: NAVIGATION, LEATHER INTERIOR, POWER LOCKS, SUNROOF, BLUETOOTH CONNECTIVITY, ALLOY WHEELS, Plus more! CERTIFICATION* All vehicle's can be Certified & E-Tested for an additional $999, if not Certified & E-Test then as per OMVIC Regulations the vehicle is deemed to be not drivable, not e-tested, and not certified. REPUTATION* Buy with confidence from an A+ rated dealer on the Better Business Bureau since 2004 , 5 year winner of Consumer Choice Awards for the Best Pre-Owned Dealership in the GTA & the surrounding areas, The 2017 Reader's Choice Diamond Award Winner for the outstanding dealership by the readers of the North York Mirror. We pride ourselves on having over 400 reviews with a 4.6 rating on Google and Facebook.